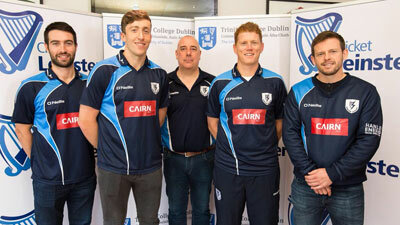 Cricket Leinster and Trinity College Dublin have announced they have teamed up for a three-year strategic partnership which will run to the end of 2020. As part of this partnership, some fixtures will be played at Trinity this season with the ground in full use by the province from 2019 onwards. 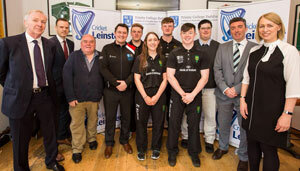 At a function in College Park attended by senior internationals Peter Chase, Ed Joyce, Isobel Joyce, Kevin O’Brien, Cecelia Joyce and Andrew Balbirnie, it was revealed that Cricket Leinster and the university will share skills and capacity to upgrade and maintain the cricket square and outfield to the highest standard. Work has already been started with Dale McDonough of GM by Choice who is confident that the pitches will be in tip-top condition for the 2019 interprovincial season. Cricket Leinster will also assist Trinity to leverage its cricket facilities to secure international recruitment to the College and to foster and develop Junior Talent Academy Pathways for mutual benefit. Cricket was first played in College Park in 1820 and was the home of Irish cricket and venue for most international matches up to the 1960s. Dublin University CC fields three men’s and one women’s team in the Leinster Leagues. This season’s captain is full international Lorcan Tucker and the club coach is long-serving Ireland all-rounder Isobel Joyce.